The turning point is often the defining point. Whether it is in life, decisions or a discussions. 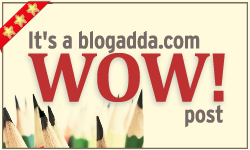 We asked our bloggers to identify and discuss the same with themselves and their readers in the WOW prompt for July 3, 2015. The prompt was 'Vantage Point'. If one can identify this, then you just unearthed a lot of discoveries.